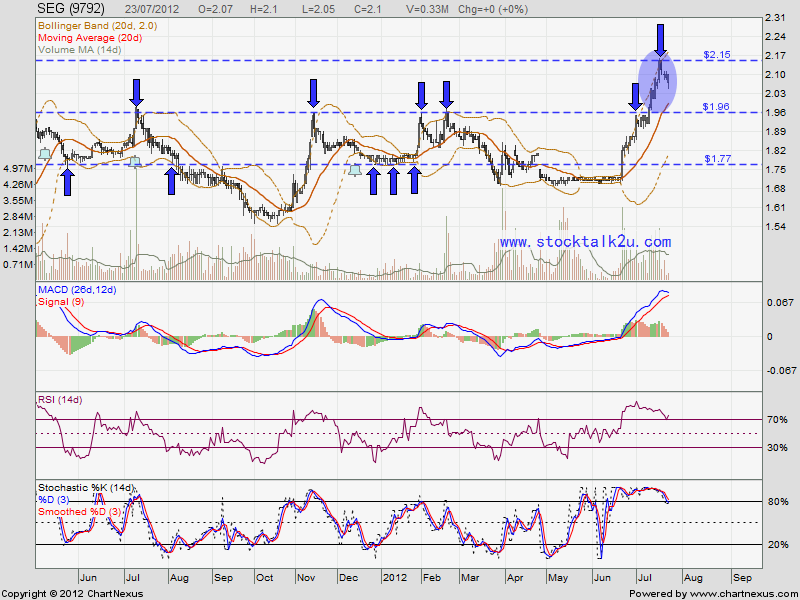 SEG is retrace from RM2.15 high. Stochastic %K still on SELL call itinerary. Immediate support would be RM2 psychology level. Subsequent support would be MA20 level. 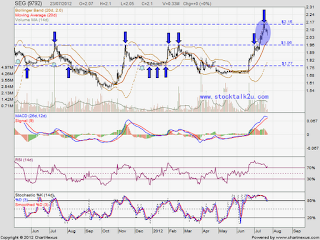 If rebound, it might retest RM2.15 high again.